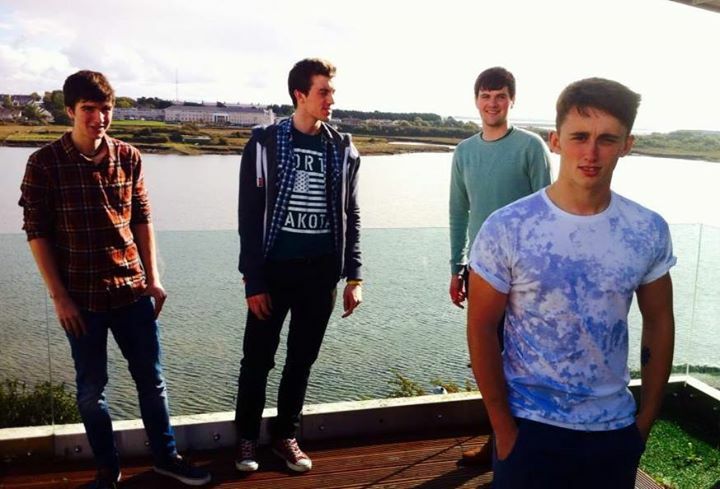 9 Ideas certainly sound promising; an indie-funk band of 19 and 20 year olds from the Headford and Cloughanover area who have been playing music together for nearly 5 years. Their musical style dips into funk, rock ‘n’ roll, reggae, indie and pop as they cite a wide range of influences such as Red Hot Chilli Peppers, The Beatles, The Police, Alt-J, Jimi Hendrix and The Kooks. They released their debut EP Mantra in March of 2015 with a successful show in Campbell’s Tavern, attracting a large crowd of followers that they have built up through years of gigging. However, the EP itself fails to live up to the potential of the band. Mantra is a record that effectively showcases the band’s technical ability and musical talent but, sadly, lacks in originality and clear direction. The opening track “Reggae Rock” is, as its name would suggest, very much a reggae tune. The EP’s second track then switches to funk and groove, with the final track meandering to a soft-rock, ballad sound. The disparate tracks have their individual merits, but leave it unclear as regards what sound the band is trying to achieve. The intro of “Reggae Rock” focuses on the latter word of the title; a loud cacophony of guitars, bass and crashing cymbals. The track then slides into a jumpy, Caribbean jam with low bass before lead vocals come in with Sting-esque singing. As in the rest of the tracks, the music here is smooth and the various instruments gel together nicely, but the vocals and lyrics leave a lot to be desired. The lyrical content of the tracks seems to be unfocused and lacking an overarching meaning or message, with much repetition of lines. The bass sounds good but sometimes the slap of the strings against the instrument’s pickup is more audible than the actual notes. The second guitar solo is a highlight of this track; the chorus of guitars harmonise and bounce off each other well, while the speed of the main riff is impressive. However, it could have been lengthened and given more focus instead of returning to the same chorus/bridge that had already been repeated. The 2nd track of the EP, “Remedy”, starts off with a bass groove that needs to be more rumbling and deep to support the jangly lead guitar that joins it soon after. Similar problems affect the bass guitar in this track, with the clunky slapping overpowering the music – seemingly a problem at the recording stage, that could easily be rectified in future recordings. The vocals are, again, a weak point in the song (backing music this funky needs a voice with a lot of soul and grit) but the guitar and, especially, percussion sound excellent. For the finale of Mantra the band steers into more melodic territory. “The River” opens with hypnotic kick drum over a catchy bass riff; it’s a sound that could easily be heard on mainstream radio. The lyrics also begin more strongly than the previous tracks, up until the word ‘Hello’ is repeated after each line – it doesn’t seem at all related to the content of the song and is quite unnecessary as it could have easily been replaced with a fitting lyric. The chorus is strong on this track, with nice vocal harmonies and acoustic guitar. The delay effect on the lead guitar sounds good but I’m not sure if it fits with the relaxed, acoustic sound of the chorus and its delicate lyrics. Around the 3 minute mark the song slowly builds towards a very nice crescendo, where the lead guitar’s delay effect fits in much more naturally. The song fades to silence and ends as softly as it began; a strong finish to the EP. 9 Ideas show a lot of potential; the lead guitar sounds excellent in all of the tracks, as do the drums. If the band can decide on the kind of music that they want to write, instead of trying to fit into various popular genres, then they have all the talent and ability to write brilliant, original music. They are a talented, young band and I am excited to hear what they can produce in the future. You can listen to 9 Ideas debut EP Mantra at www.soundcloud.com/9ideas or you can support these young Galway lads on facebook by liking their page ‘9 Ideas’. I simply want to mention I am new to blogging and site-building and really enjoyed your web blog. Most likely I’m want to bookmark your blog . You certainly have good article content. Cheers for sharing your webpage. Thank you for any other great post. Where else could anybody get that type of info in such a perfect method of writing? I’ve a presentation next week, and I am at the search for such information.